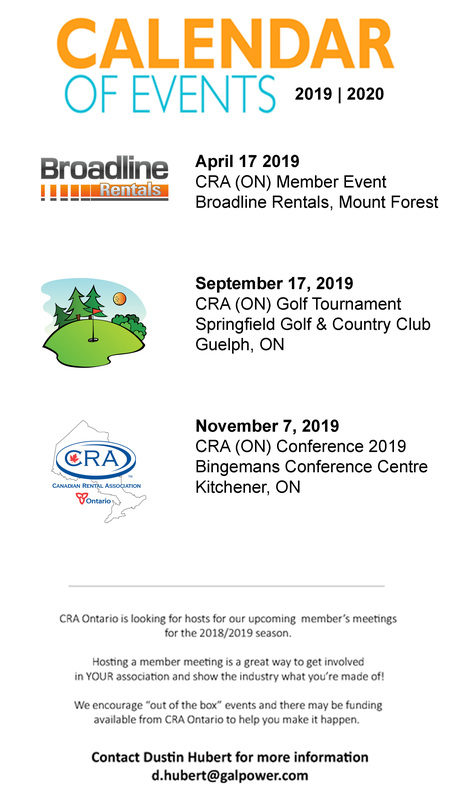 Mark your calendars for the upcoming CRA Ontario events! 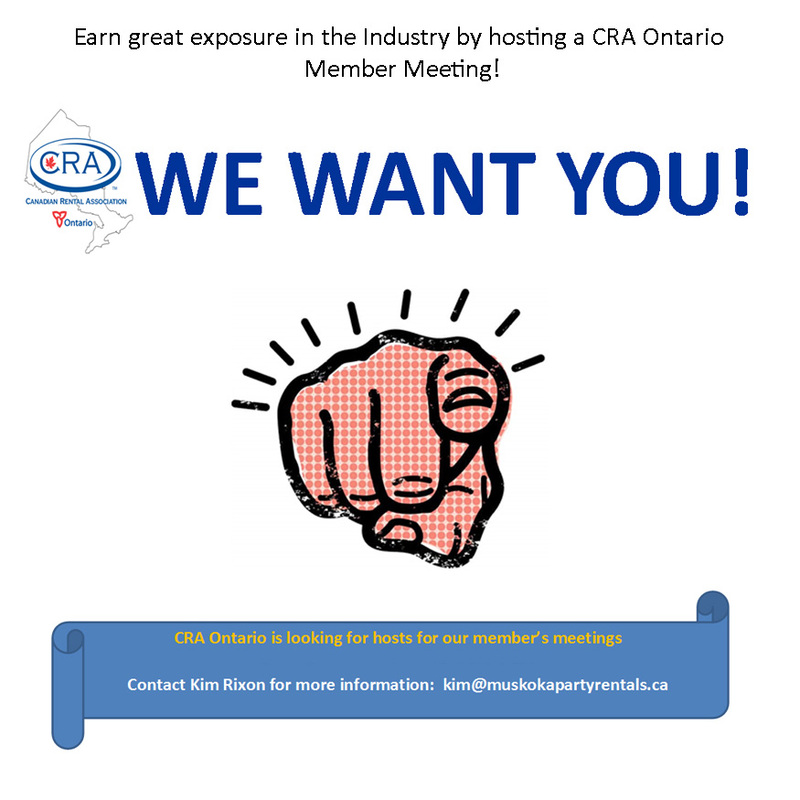 Member Event & Elections Meeting! Neil developed and led a superlative workshop on Sales and Marketing. He has the ability to communicate ideas very effectively and his energy infuses everyone with enthusiasm. Nel was able to answer all questions expertly and made what seemed to be insurmountale obstacles, easily overcome. WE WANT YOU! 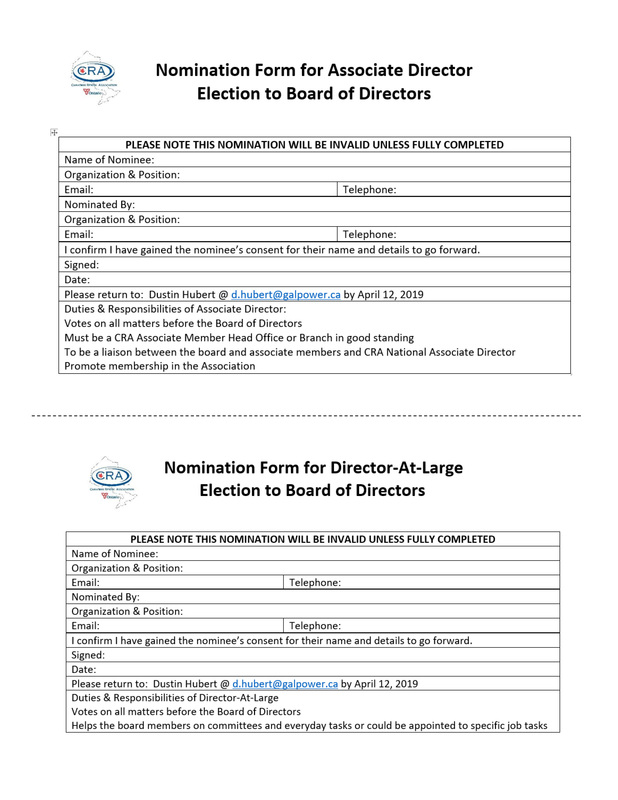 If you are forward-thinking and want to make a difference in our association we have a place on our board of directors for you or someone you think would make a difference! 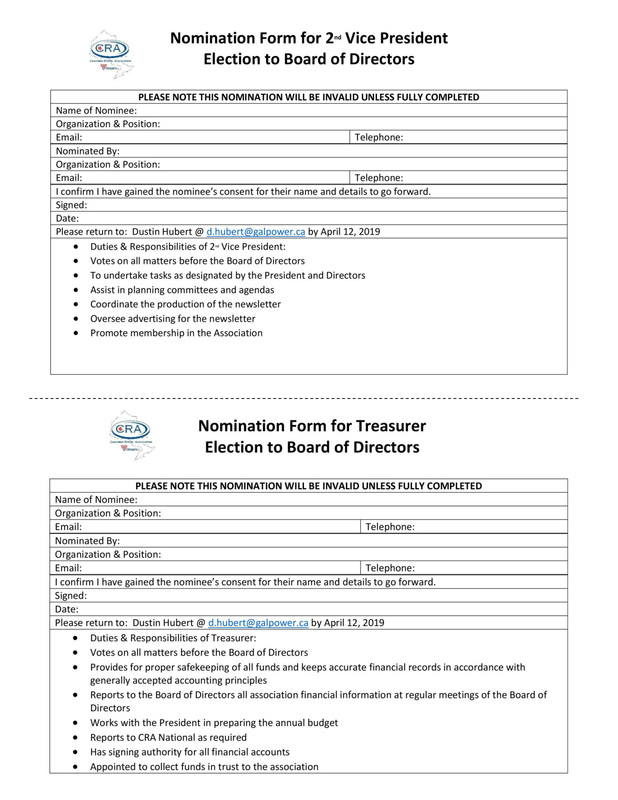 We are currently accepting nominations for Vice President, Treasurer, Associate Director and Director At Large(s)! 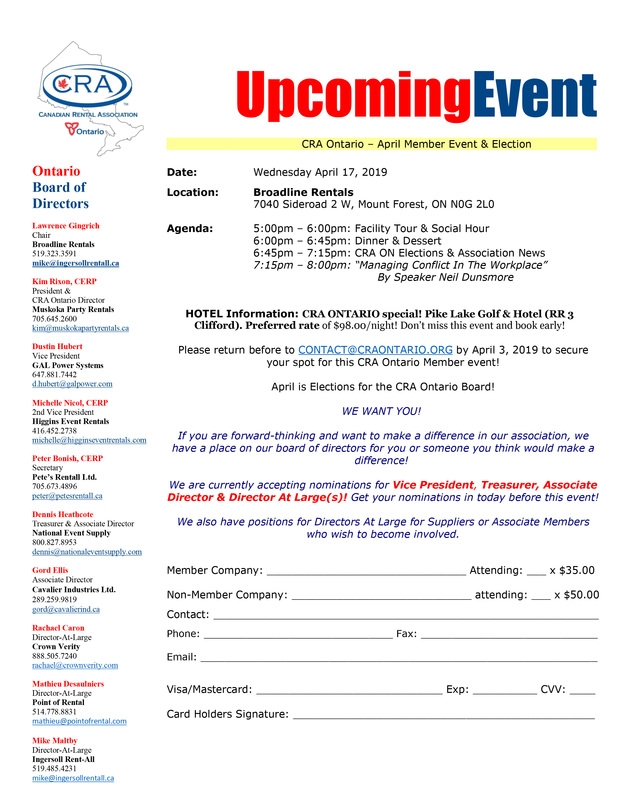 Elections will be held April 17 at Broadline Rentals in Mount Forest. We also have positions for Directors At Large for Suppliers or Associate Members who wish to become involved.